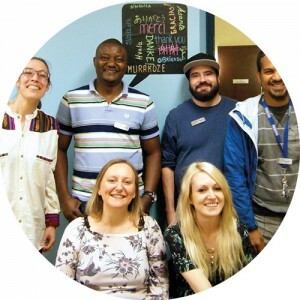 The Centre multiethnique de Québec (CMQ) is an independent community organization that, for more than 50 years now, has undergone different transformations arising from its belief that immigration is essential to the development of Quebec and that supporting and assisting the settling in of newcomers is beneficial for the whole community. Its outreach activities have taken many forms over the years. More culturally based during the 1960s when it was known as Amitié-Culture, it turned towards the concepts of twinning and social consciousness in the ’80s, then began calling on different Quebec sociopolitical forces to take responsibility in the 2000s. The CMQ initiated the Habitations du Centre multiethnique de Québec project as a complement to other actions of the centre. The HCMQ offers temporary and transitional housing to immigrants newly arrived in Quebec City. It offers a living environment tailored to the needs of newcomers, conducive to the learning necessary for their adaptation and social integration in the host society through access to the in-house services provided by the CMQ. • November 2010: CMQ Housing Forum, proposal for a temporary housing project. • 2011-2012: Creation of an action committee aided by a technical resource group (Immeuble Populaire). • December 2012: Incorporation of the new HCMQ entity. • July 2013: Purchase of part of the Canopée building from the Quebec Municipal Housing Office and renovation of the entire building. • October 2014: Moving CMQ offices into the new HCMQ premises. • November 2014: Opening of emergency rooming services and transitional apartments of the HCMQ. Emergency rooming: the HCMQ has 19 emergency rooms for state-sponsored refugees for at least five working days, pending their arrangement of private accommodation. The HCMQ can accommodate up to 76 people in emergency and provide three meals a day. Transitional housing: the HCMQ has 20 transitional units for up to 20 families, or 100 people. These temporary shelters are reserved for state-sponsored refugees who have particular support needs, as determined by the team. Considered the second stage of the integration, these accommodations are available for six months to two years. Personalized support is offered throughout the rental term, allowing tenants to acclimate and integrate well into Quebec society. Migrant workers can use temporary accommodation (emergency rooms) upon arrival in Quebec City while they find housing. They are helped by the CMQ in their search. needs were earmarked by the CMQ. Currently, all apartments are occupied. The emergency units received their first guests on Nov. 17, 2014. The first clients referred by the CMQ had unfortunately been left homeless by a fire and needed assistance. 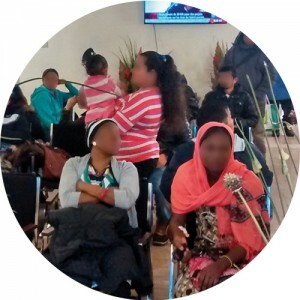 Then came the MIDI clients and the HCMQ also began to accommodate economic migrants (skilled workers) as well as other clients referred by partner agencies. For now, statesponsored refugees represent 80 per cent of the emergency room users. Clients in 2015 were mainly of African origin (Central Africa, Congo, Burundi, Ivory Coast, etc.) and Bhutanese. However, international events have an impact on the origin of the clientele, with several Syrian families welcomed by the HCMQ since 2016. 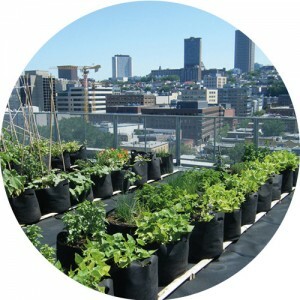 Aside from the involvement of tenant families in the upkeep of common spaces on their floor, the most spectacular is probably the community garden on the building rooftop, managed in collaboration with the CMQ, the OMHQ and urban gardeners. 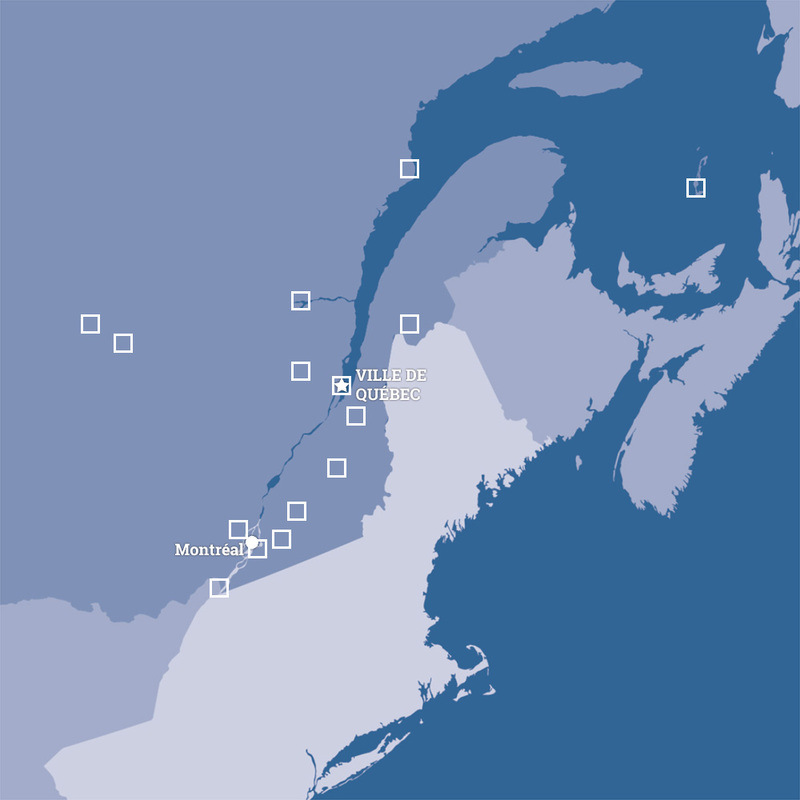 The local community is very active in the CMQ and HCMQ. More than 400 volunteers are involved on a daily basis, as members of the board, receptionists, helping with food services or games room supervision, sewing or craft activities, or to help with food service or the supervision of games rooms, assisting in moving, etc. Their constant involvement provides a positive first contact between members of the host society and newcomers.